A huge disingenuous irony, but largely ignored by the media, was uncovered near the end of the 2012 presidential campaign. 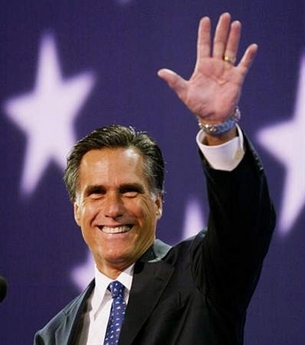 By way of explanation, Mitt Romney had long been attacked as a rapacious, money-grubbing founder of Bain Capital. In seeking reelection, former President Barack Obama, as well as many Democrats and labor-union officials equated Mr. Romney and his Bain colleagues as cruel, corrupt capitalists. The vocal Democrat base tried to have us to believe that Mr. Romney would do anything to make an all-mighty dollar at the expense of American workers. They implied that no one since Al Capone has been as been as mean-spirited as the Bain capitalists. Oh, such disingenuous claims by Mr. Romney’s political opponents. It now turns out that countless Democrats have used Bain Capital for their personal gains – including many public employee unions – first responders, public-health workers, social workers, and teachers. Their retirement systems have consigned $1.56 billion to Bain since 2000. We learn all the insidious details from a study by a global research firm, Prequin, according to a news report, “Look who parks their cash at Bain | New York Post,” on Sept. 1, 2012. Researching private-equity holdings is a specialty of Preqin. Reporter Deroy Murdock explains how Preqin collected the astonishing information – from Freedom of Information requests, news reports and public documents. In citing data from Infrastructure Investor, BuyOuts magazine and S&P Capital IQ, Mr. Murdock provides more eye-opening information. He indicates that many bastions of liberal intellectuals also benefit from Bain. Institutions of higher learning – from the University of California to the University of Washington – have entrusted $424.6 million with the firm from 1998 to 2008. Others include: Cornell, Emory, Massachusetts Institute of Technology, Notre Dame, University of Pittsburgh, Columbia, Princeton and Yale universities. “Major, center-left foundations and cultural establishments also have seen their prospects brighten, thanks to Bain Capital. According to the aforementioned sources, such Bain clients have included the Charles Stewart Mott Foundation, the Doris Duke Foundation, the Metropolitan Museum of Art, the Ford Foundation, the Heinz Endowments and the Oprah Winfrey Foundation,” writes Mr. Murdock. So it turns out Mr. Obama’s liberals misled us – from public-employees unions to union bosses – all while their deep pockets have been enriched by the savvy oversight of the firm founded by Mr. Romney. Obviously, he’s got an outstanding track record in creating wealth and prosperity. As for his political opponents: Where’s their moral compass? It’s probably under all their piles of money — thanks to Bain Capital.